Our first priority is to ensure that all season ticket holders affected by the renovation are presented with options for relocation. Our priority is to ensure that everyone has the right to retain their current seats. Aside from a small quantity of seats that will be affected by construction all will have the right to keep their current seats. After we determine each season ticket holder's status we will begin our relocation process with the available seating. This process will take several weeks to finish. We will process requests for relocation in the priority order described below. As season ticket holders request modifications to their seats, we ask that they please keep in mind the historically high renewal rates for season tickets. We will do our best to accommodate requests, but it is important to temper expectations. Though we anticipate very few season ticket holders to be displaced due to their seats being removed as a result of construction, a handful will be affected. Reasons for such relocation center around our need for greater accessibility and ADA (Americans with Disabilities Act) seating. Our first priority will be to present appropriate options to all those affected by any such occasion. Our next relocation priority is to accommodate season ticket holders who request to be relocated to an area with a lesser per seat contribution. We value the long-term commitment made by our season ticket holders, and will work to relocate their seats to a giving area that more closely aligns with their preferred level of giving. Once we have met requests for lesser giving levels we will process requests for improving seats to a more desired location. 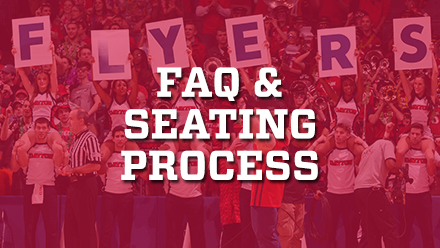 Priority for seat improvement will be based on a combination of lifetime giving to University of Dayton Athletics and the number of years as a season ticket holder only. Only season ticket holders who have paid in full, paid a 20% deposit or signed up for a payment plan for their 2018-19 season tickets will be considered for seat improvement. If available, the request for additional seats will be reviewed after we conclude the relocation process. HOW WILL THIS AFFECT SEATING COSTS? There will be a revised seating and ticket price structure, with per seat donations increasing beginning with the 2017-18 May billing cycle and being final upon project completion. Per seat donations will increase by 1/3 for the 2017-18 season, remain consistent at for the 2018-19 season, and see the final 2/3 of the price increase for the 2019-20 season (scheduled for full completion) through 2023-24. Starting with the 2019-20 season per seat donations will be fixed for a period of five years. While lower arena season ticket holders have been paying a per seat donation since 1997, 300 level season ticket holders will begin paying a per seat donation in 2019, and 400 level season ticket holders will see a modest ticket price increase. The seat and donation model is available at TransformUDArena.com; Ticket prices will increase periodically over time based on number of home games, opponents, and other associated factors involved with scheduling. HOW MANY EXISTING SEATS DO YOU ANTICIPATE BEING IMPACTED BY THE RENOVATION? Over 97 percent of the seats will remain unaffected by the renovation. All seats being affected by the renovation are occurring due to zoning, fire code regulations, or ADA requirements. 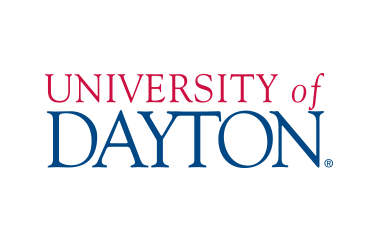 There are no seats being adversely affected due to aesthetic or design decisions that are in the control of the University of Dayton. WHY DO WE NEED THIS REVISED DONATION STRUCTURE? 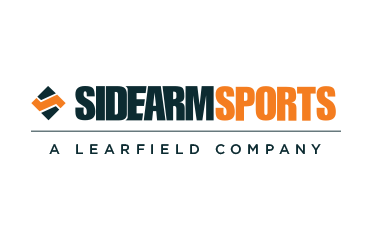 It is a critical revenue stream for both our athletic operations and this project. This project is a significant upgrade for the fan experience and was necessary for the future of UD Arena and Dayton basketball. We understand that through philanthropy, corporate sponsorships, external partnerships, ticket revenue and university support, we need everyone to make this work. WILL EXISTING SEASON TICKET HOLDERS BE ABLE TO KEEP THEIR SAME SEATS? WILL EXISTING SEASON TICKET HOLDERS BE ABLE TO STILL SIT WITH THEIR FRIENDS AND FAMILY? The overwhelming majority of season ticket holders will be able to stay in their current seats if that is what they choose. We understand that many of our fans are content with their current seat location and allotment, and have been for many years. However, some season ticket holders will be displaced due to floor space adaptation, ADA seating additions, and concourse, aisle, and entrance revisions. We anticipate this to affect less than 400 of our more than 13,000 seats. Those affected by this change will have fair options presented to them for relocation and will be contacted personally by the ticket office. CAN EXISTING SEASON TICKET HOLDER SEATS BE PASSED ON TO THEIR FAMILY MEMBERS OR FRIENDS? Yes, our policy has always been, and will continue to be, to allow for our season ticket holders the ability to transfer their seats to immediate family and/or legitimate business partners. The ticket transfer form is available here. HOW WILL EXISTING SEASON TICKET HOLDERS BE ABLE TO MOVE OR ADD SEATS? The order of priority for each process (relocation, downgrade, upgrade, and seat addition) will be based on lifetime philanthropic contributions to athletics with years as a season ticket holder as a tiebreaker. CAN EXISTING SEASON TICKET HOLDERS TRANSFER THEIR SEATS? 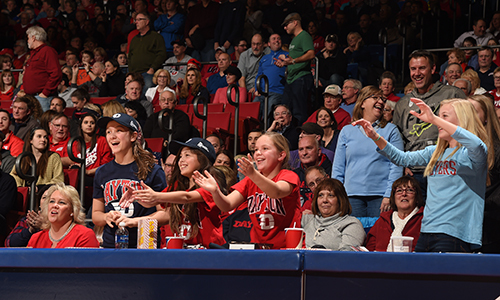 The University of Dayton remains committed to the many long-time fans that have patiently waited to improve their seats. For this reason, only transfers to immediate family and legitimate business partners are permitted. The ticket transfer form is available here. WHEN WILL EXISTING SEASON TICKET HOLDERS RECEIVE THEIR BILL? Paper invoices are mailed around May 1 each year, or season ticket holders can view their invoice on My Flyer Account. 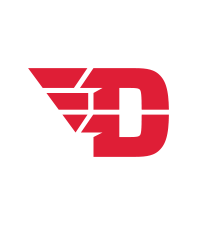 Go to DaytonFlyers.com, then click on Tickets, then click on My Account. Season ticket holders can log in with their email address and password. They can reset their password online, or call the Ticket Office at (937) 229-4433 for assistance logging in. Arena Seating Program donations will be due on June 22, 2018. Invoices for season tickets and parking will go out in mid-July. Invoices for 300- and 400-level seats were mailed May 1, 2017. A 20% deposit, sign-up for a payment plan, or full payment is due by June 29, 2018 in order to retain your seats for the 2018-19 season. HOW LONG WILL THE ARENA SEATING PROGRAM BE IN EFFECT? This seating program will be for the 2017-18 through 2023-24 men’s basketball seasons. HOW IS AN ARENA SEATING PROGRAM CONTRIBUTION RECOGNIZED? 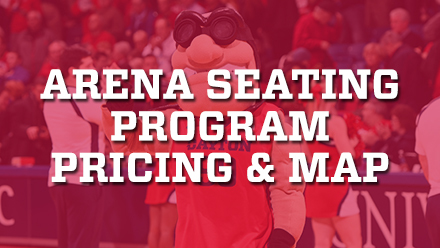 By donating to the Arena Seating Program to obtain men’s basketball tickets, season ticket holders automatically qualify for membership in the Champions & Scholars Fund at the appropriate level. Season tickets are color-coded based on Arena Seating Program commitment and any additional outright contributions to athletic funds prior to September 15 each year. We will provide more information in future correspondences. You can improve your ticket status and lifetime giving to the Division of Athletics through additional gifts to the Champions & Scholars Fund. Contact the Champions & Scholars Fund at (937) 229-2845 for more information about your lifetime giving status and gift opportunities. HOW WILL THIS AFFECT MY PARKING? There will be some changes to parking allocation and configuration for the 2019-20 season, and some modest changes before then based on construction and safety needs. We will communicate these changes in a timely and transparent fashion. Parking demand will continue to exceed capacity. 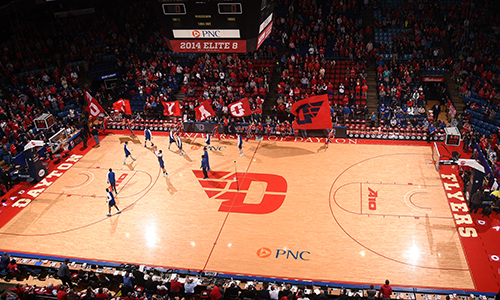 Currently, we have 500 season ticket holders who must park at an overflow lot near the University of Dayton Marriott. We have a policy of one pass for every four seats in order to help mitigate this issue, and that policy will continue. HOW CAN I BECOME A SEASON TICKET HOLDER? 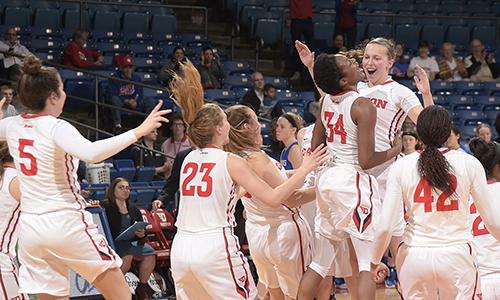 Season ticket deposits are now available online at DaytonFlyers.com/SeasonTickets or by calling the UD ProSource Ticket Office at (937) 229-4433. Season ticket deposits are $50 per seat and will be applied to the full price of your season tickets. The full price will be determined this summer. The balance will be due by Aug. 31, 2018. Season ticket deposits are non-refundable. HOW ARE NEW SEASON TICKET LOCATIONS ASSIGNED? 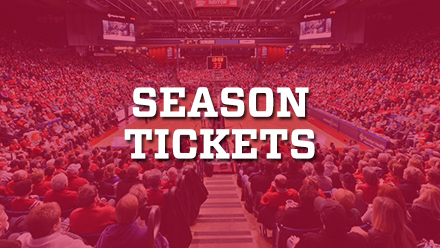 New season ticket seat assignments are placed based on lifetime giving to UD Athletics and purchase date of season ticket plan/deposit is used as a tiebreaker. Your season ticket deposit will reserve your place on the priority list. If you would like to try to improve your seat assignment priority you can make a donation to the Champions & Scholars Fund. WHERE ARE NEW SEASON TICKETS LOCATED? Most new season tickets will be located in the 400-level, however, exact availability won't be determined until we complete our current season ticket renewal in August. WHEN ARE NEW SEASON TICKETS ASSIGNED? New season ticket assignments will be made in late September or early October. HOW CAN I PURCHASE SINGLE GAME TICKETS? Season ticket holders will have the opportunity to purchase additional single game tickets before they go on sale to the general public shortly after the non-conference schedule is released. Usually this occurs around late August or early September. Season ticket holders can purchase tickets online with no fees through their My Flyer Account or over the phone at (937) 229-4433. Non-Conference single game tickets will go on sale on October 1, 2017. A-10 Conference single game tickets typically go on sale to the general public on December 5, 2017. Non-season ticket holders can purchase tickets online through Ticketmaster.com, in person at the UD ProSource Ticket Office, or over the phone at (937) 229-4433. HOW CAN I PURCHASE GROUP TICKETS? Discounted tickets are available for groups of 20 or more. 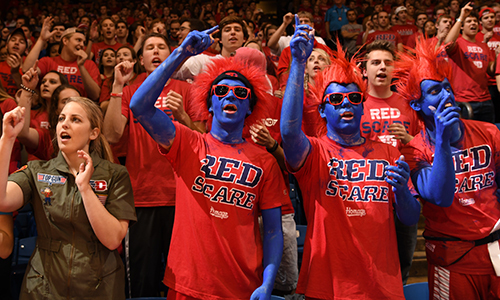 To find out more information or to place an order, please contact the UD ProSource Ticket Office at (937) 229-4433 or at FlyerTickets@udayton.edu. HOW CAN I PURCHASE TICKETS IN A PREMIUM SEATING LOCATION? Premium Seating at UD Arena currently consists of Boesch Lounge Suites, Loge Seating, Press Row, and Flyer Front Row. Soon we will also be adding concourse level Premium Seating options in the form of Terrace Suites and two new Club Seating areas. For information on pricing and availability, please contact Courtney Long at (937) 229-5112 or clong2@udayton.edu. 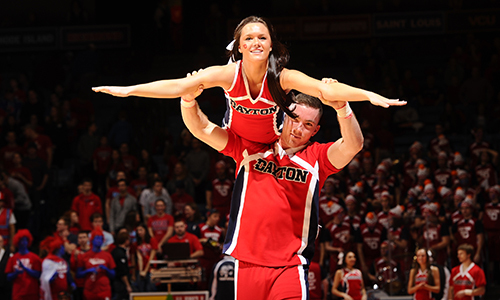 Season ticket deposits are now available online at DaytonFlyers.com/Tickets or by calling the UD Arena ProSource Ticket Office at (937) 229-4433. Season ticket deposits are $25 per seat and will be applied to the full price of your season tickets. The full price will be determined this summer. The balance will be due by Aug. 31, 2018. Season ticket deposits are non-refundable. Seating for all home women’s basketball games is general admission, excluding premium seating. Single game tickets will go on sale on October 1, 2018. Season ticket holders can purchase tickets online with no fees through their My Flyer Account or over the phone at (937) 229-4433. Non-season ticket holders can purchase tickets online through Ticketmaster.com or over the phone at (937) 229-4433. Discounted tickets are available for groups of 20 or more. 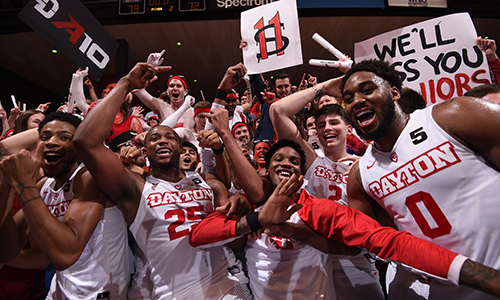 To find out more information or to place an order, please contact the UD Arena ProSource Ticket Office at (937) 229-4433 or at FlyerTickets@udayton.edu. Season ticket holders can upgrade to premium reserved seating in either the Coach’s Corner (section 103) or in the Press Row or Flyer Front Row by paying a per-seat contribution in addition to the season ticket price. Suites are also available for rent on a single-game basis. 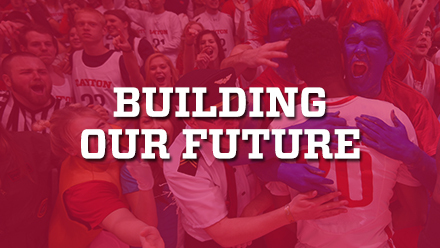 For more information, please contact Courtney Long at (937) 229-5112 or clong2@udayton.edu.